Betty Sue Osborne Price, 93, of Cleveland, Tennessee, passed from this life into the open arms of Jesus on Wednesday, March 20, 2019. She was the perfect example of everything a woman should be. She was always busy in the kitchen baking her famous sugar cookies that everyone talked about. She was a wonderful wife, mother, grandmother, great grandmother, and would have very soon been a great great grandmother. Betty and J.W. were members at Valley Head United Methodist Church. She was preceded in death by her parents Ralph Sr. and Gertrude Osborne, sister Patsy Jenkins and two brothers Bob and Jack Osborne. She is survived by her loving husband of 72 years, J.W. Price, two daughters Sherry Norwood (Nick) and Connie Panni (David); grandchildren: Amanda Norwood-Peterson (Lenny), Nicky Norwood (Amy), Mike Panni (Ruthie), and Lisa Panni; great grandchildren: Lauren Norwood (Dakota), Emily Peterson (Dawson), Gunnar Norwood, Garren Norwood, Emma Waddel, Ada Karoline Panni, Aidan Panni, Avery Panni, and Asher Panni; sister Judy Lee and brother Ralph Osborne Jr. (Judy). In addition to these she leaves behind numerous extended family members and friends. The family will receive friends from 12-2 p.m. on Saturday, March 23, at Companion Funeral Home located at 2419 Georgetown Road NW, Cleveland, Tn. 37311. A celebration of life service will be held at 2:00pm at the funeral home with burial to follow at Lee Cemetery. Jeff Archey will be officiating the services. Contributions can be made to Valley Head United Methodist Church or Hearth Hospice in her memory. 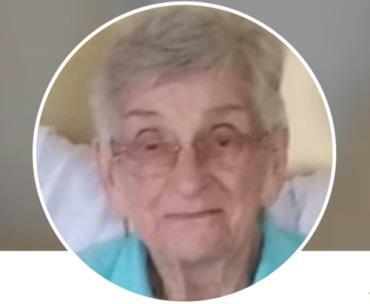 You are invited to share a personal memory of Betty or your condolences with her family at her online memorial at www.companionfunerals.com. Companion Funeral and Cremation Service and the Cody family are honored to assist the Price family with these arrangements.